University Council member Robert Salisbury. Sir Robert Salisbury was a professor in the School of Education at the University of Nottingham and moved to Northern Ireland in 2001. Before this, Bob was the Head teacher of The Garibaldi School in Forest Town, Mansfield, Notts. This 11 - 18 mixed comprehensive was in trouble. It had experienced a chequered history and by 1989 was losing a large number of pupils to neighbouring schools. Expectations were low, vandalism high, results poor, and a very negative image of the institution existed in the community. Things have changed dramatically and Garibaldi is now recognised for its achievements. Bob Salisbury has a national and international reputation for his thought-provoking ideas on leadership styles and staff motivation. His innovative approach to challenging complacency, creating ‘enterprise cultures’ and education for the 21st Century, has brought him many invitations to speak to both educational and commercial audiences. He works regularly with schools in challenging circumstances. 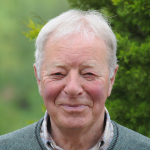 Bob is a keen angler, photographer and gardener and for the past thirteen years he and his wife Rosemary have been developing a conservation area of lakes, woodland and meadows around their home in Tyrone.